Well well looks like we are heading a direction where our brains will be replaced by a cloud server from Google. You do not believe me right? Well have a look at the latest offering from Google, Google Glasses which you can wear and will act like a super smart personal assistant. This video demonstrates what Google is planning to come up with. Google glasses will be very much similar to your regular glasses with an exception that the glasses is a screen where you can see images overlays on top of the view you are viewing from the glasses. This technology will help you in all of your day to day activities. Say for example you want to go to a hotel. All you have to do is Ask Google glasses for direction and it will direct you to the hotel's though some person is guiding you in real life. 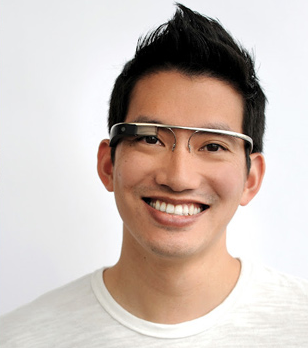 What could be the larger picture for Google introducing these glasses? Well you guessed it right a new way of Advertising. Yes, imagine you are confused in a strange city and you are wearing these glasses. When you ask Google Glasses which is the best place to eat it will recommend you search results some organic and some sponsored. The moment you opt to enter a food place which is sponsored on Google Ads Google will not just get direct business to the hotel where the glasses will take you but also Google will get direct revenue share from the visit. Not just that all the activities you do using glasses like booking movie tickets, airline tickets etc will all done via Google and Google will get its cut out of it. You will not believe me right now but in the next 5 to 10 years you will find many people especially in USA wearing these glasses and getting their stuff done. And suddenly one day the Google cloud server will crash and America will stop working..hehehe kidding. But seriously USA always lead the technology related stuff and people in US are very open to experimentation with new technology. I am sure Google Glasses will be a great hit in US one day, my only worry is humans capacity to remember small things will start getting lost and we will step in to a gadget dependent era, just like some of the sci fi movies.